You will I hope have noticed a consistency in my choice of Picks for these pages over the years, either modelling or reading, and while the civil orientation of the first of the se on this latest page came as a bit of a surprise to me as well, the names on the cover are well known; I've known both of them long before the start of GOMcom. and between them they cover the projects on both sides of the Channel - and as a mark of respect for J-C, La Manche - before the emergence of F-WTSS. It's only right that this should be a bi-national enterprise. I've never been very aware of the early steps to supersonic commercial flight, especially in the days before the great white bird first got airborne, and there I found this hitherto unknown history fascinating (even though Skybolt isn't mentioned once!). Before there was any organised effort or official requirement, Miles Aircraft - who else? - proposed in June 1946 , a twenty passenger design with a variant of their tandem wing layout, with a single Power Jets engine and a maximun speed of 1,000 mph. This, as the book says, was needless to say not taken up. The story really starts following the setting up of a small committee on supersonic possibilities at Farnborough in the early 'fifties: shortly afterwards official interest resulted in the formation of the Supersonic Transport Airliner Committee under the auspices of the Ministry of Supply in November 1956 with representation from airframe and engine companies, both national airlines and various government departments. Early shoots from this appeared in 1957, including some that were designed for speeds around M1.2 and featured an M-wing layout; later and faster designs appeared with evolving delta shapes though some adopted "swing-wings", notably de Havilland and Vickers. Parallel research and design effoert was being carried on in France, again by several manufacturers including Nord, Dassault and Sud, several of whose were tagged with the name "Super Caravelle"; many featured canard foreplanes, but these were gradually omitted. Sketches gradually appeared on both sides of the Channel in the aviation press and models in a selection of hopeful airline liveries were displayed at the annual exhibitions at Le Bourget and Farnborough, with photos included here. 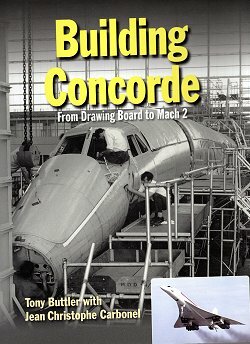 There is a chapter on the designs of North American and Boeing, and another on the team of aircraft that supported and contributed to the development of the European contenders. The political and technical amalgamation of the French and British aircraft is here in full measure, as the story continues towards the prototypes and their testing and the use of pre-production aircraft in the preparation for entry in to service, where this part of the story finishes. At at time when there are stirrings of fresh beginnings for commercial supersonic flight it is good to see this first attempt very well documented; I was particularly intrigued by the proboscis on the nose of the Armstrong-Whitworth M-Wing in view of the last few years' work by NASA in reducing the effect of the sonic boom. 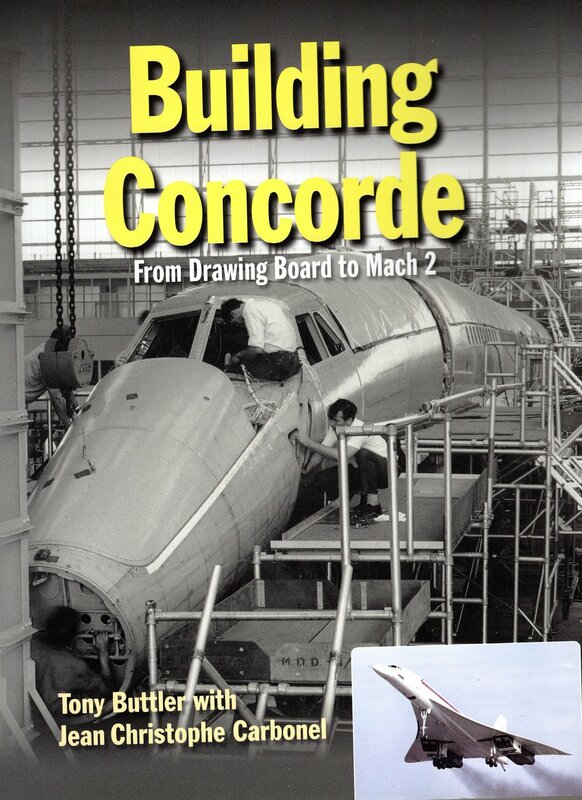 Concorde was the product of engineers' and airlines' dreams; maybe this time it'll come true! Tony Buttler also appears as the author of the second book. 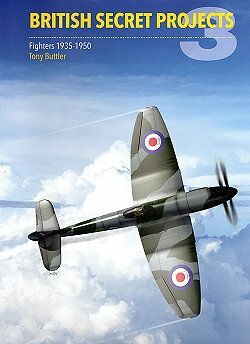 This is an update of half at least of his British Secret Projects 1935-50, originally published in 2004 and of which the Keith Woodcock cover painting of the canard Vickers Giant Bomber project has remained permanently etched on my mind (and I suspect that of many others) for fourteen years. The reworking of the original has involved splitting it in to two volumes, and this as you can see both from title and cover subject (of which I'd also like a model please, even if it's a conversion) is devoted to fighters from the roll out of the first Merlin-engined prototypes until the first generation jets. The presentation is largely chronological while still being in chapters covering functional categories. As you and I would suspect it's profusely illustrated with photos and line drawings, supplemented by models, several from Joe Cherrie. Many of the aircraft are unsurprisingly familiar, but the updating involves the introduction of new information on many of the well-known designs as well as a good proportion of the previously unknown; this story finishes with the Attacker and Seahawk, not only matching the closing date of the title but also as Tony Buttler points out that that generation represents the last of the designs that are directly related to Second World War aircraft and practices. My regular approach to this series is to read them through as quickly as I can to follow the strands of history and marking mentally at least where I shall need to return to, not least for any potentially modelling content ("time spent in reconnaisance...."), and then returning with a more haphazard plan to to pick out the likely model subjects. For this one I'm heavily influenced again by the cover painting; back in the 80s/90s Peter Lockhart, to whose Maintrack conversions were a boon to many of the yet-to-be-labelled What If? modellers with a British bent, produced a resin fuselage for an "Eagle Tempest". I've always thought this the most elegant of Sir Sydney's pre-jet fighters and hope that this artistic depiction would spark a revival: the Eagle version with the Mustang-style radiator that I remember is revealed as the P.1027, but Daniel Uhr's cover is apparently of the slightly-larger P.1030 with the radiator moved to the leading edge of the wing roots. As always with the series the reader will surely pick on one or two favourite or most fascinating subjects, or perhaps a most unexpected; while I gravitate naturally to Hawkers, especially for possible model subjects, I do like the Fairey Naval Strike Fighter and particularly the Westland Delanne jet, which could just lend itself naturally to kit-bashing! The production of the book is as always with Crecy first class and as well as being an excellent publication full of fascinating information and illustrations in its own right it upholds their standards and whets the appetite for the forthcoming companion volume on bombers of that era.